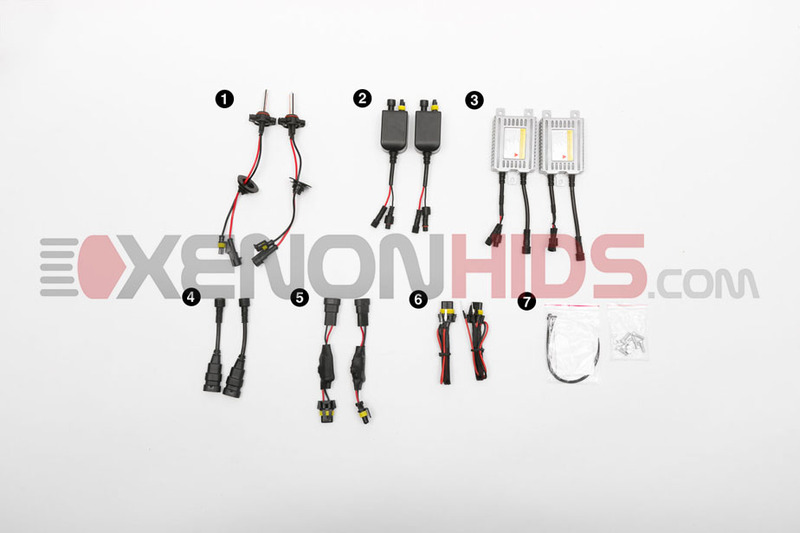 Below are the components included in your H1/H3/H16 Single Beam HID Conversion Kit with Warning Cancellers. Connect the Warning Cancellers to the Factory Harness Adapters. 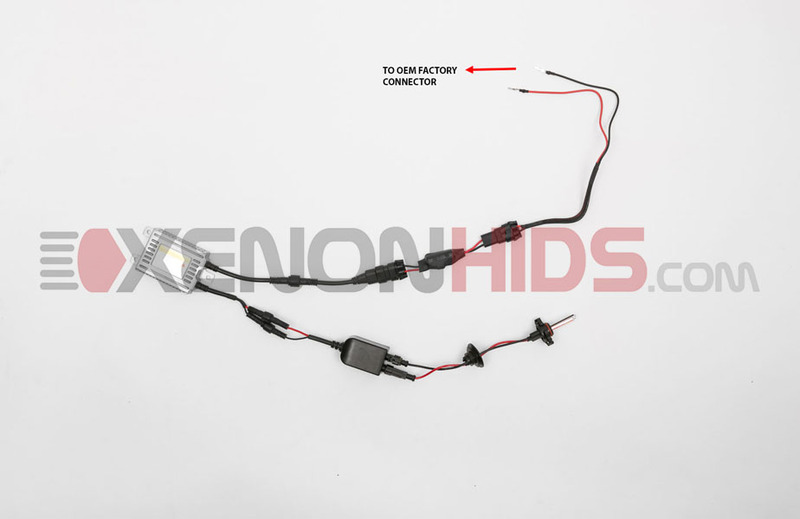 Insert the pins from the Factory Harness Adapters to your vehicle's OEM factory connector. 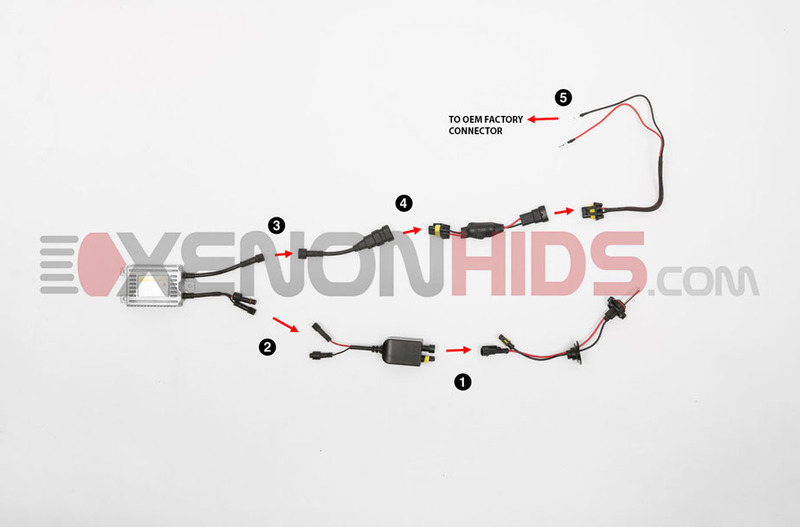 NOTE: The Factory Harness Adapter must be installed in this exact configuration for the HID conversion kit to function correctly. This is what the finished product will look like once all components are connected.